Senate Democrats gathered outside the Capitol building Tuesday morning to call for the removal of any language in the budget resolution that would open up the Arctic National Wildlife Refuge (ANWR) to oil and gas drilling. "Senate Republicans have included instructions for the fiscal year 2018 budget resolution that would open the door for drilling in one of America's greatest natural treasures," said Sen. Ed Markey, D-Massachusetts, who is also a member of the Senate Committee on Environment and Public Work. "This GOP budget sets the stage for Republicans to ram drilling in the crown jewel of America's wildlife refuge system through the Senate, using only a 50-vote threshold." The Senate's vote on the legislation would require a simple majority of 51 votes under budget reconciliation rules. It is unclear exactly how much oil and gas can be extracted from the region, but experts estimate that up to 10.4 billions barrels of oil could lie beneath the tundra, and a 2012 report from the Congressional Budget Office (CBO) estimates that "development would yield about $5 billion." This statistic is apparently what's behind the House's budget resolution, which calls on The Committee on Natural Resources to "reduce the deficit by $5,000,000,000 for the period 12 of fiscal years 2018 through 2027." The Senate counterpart to the House budget resolution calls on the Senate Energy and Natural Resources Committee to reduce the deficit by finding $1 billion in revenue. 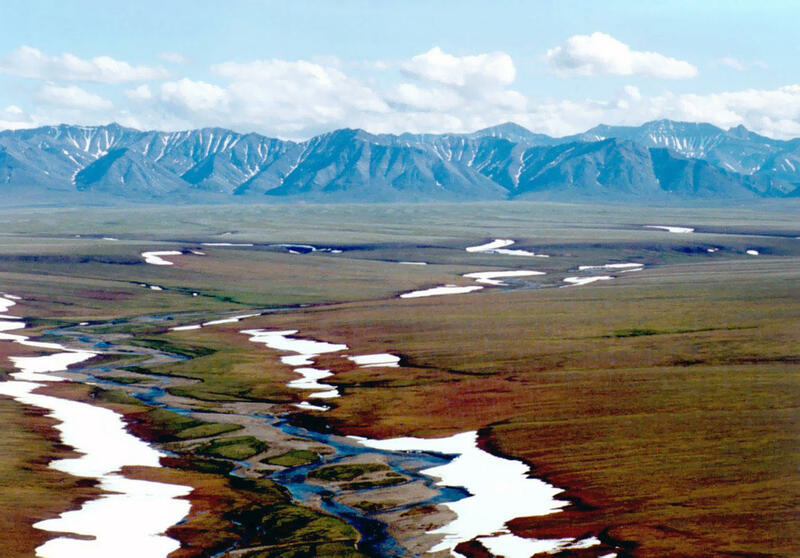 If the ANWR were to be opened to drilling, oil leases in the region would be auctioned off. Senate Democrats present at Tuesday's event, who were also joined by the League of Conservation Voters and the Defenders of Wildlife, labeled the resolution a "Polar Payout." They hope to amend the budget in order to keep the wildlife refuge closed. "We're going to work together with our colleagues to determine just the right moment in this budgetary process to make this amendment, but we are going to do so," Markey said, explaining that he is aiming for bipartisan support on the amendment. "We have now reached a point where we are exporting oil. So we would be drilling in the Arctic refuge in order to find more oil to export to other countries in the world. We would despoil our own sacred land in order to help oil companies sell oil to China," Markey said. The section of the ANWR being debated spans 1.5 million acres of northeastern Alaska and is home to several Native American tribes as well as roughly 250 species of wildlife. Since it became a protected region, there have been multiple failed congressional attempts to open it to energy development. "This is the last, wildest place we have in America and the tribes there, and the species that are there, are counting on all of us to make sure this doesn't happen," said Sen. Michael Bennet, D-Colorado.